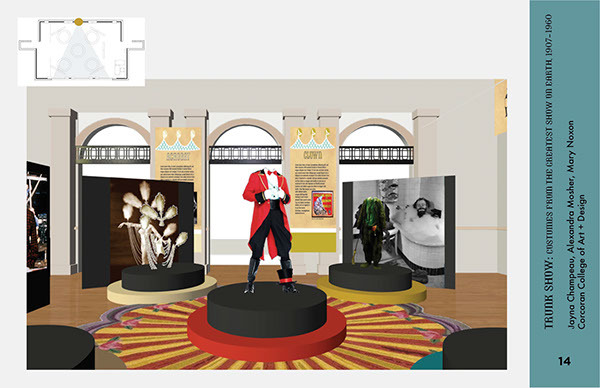 This concept project, worked on with a team of two other designers, was proposed to the curator for McDaniel College in consideration for Rice Gallery, located on the college campus. 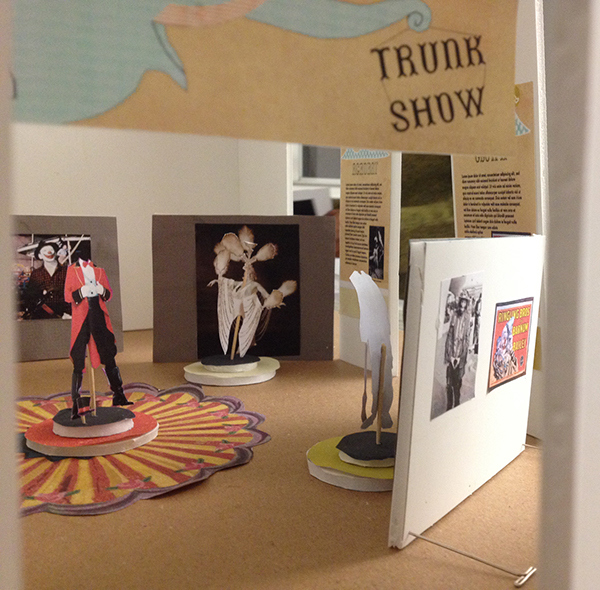 The show was designed specifically for Rice Gallery after talks with the curator and visits to the space. 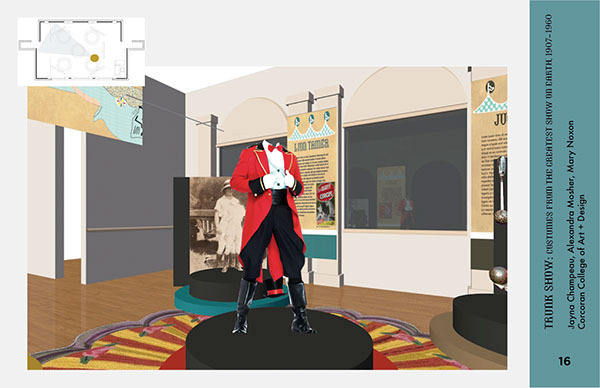 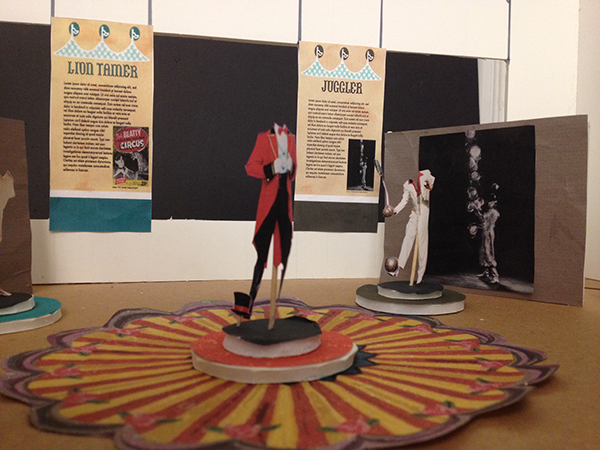 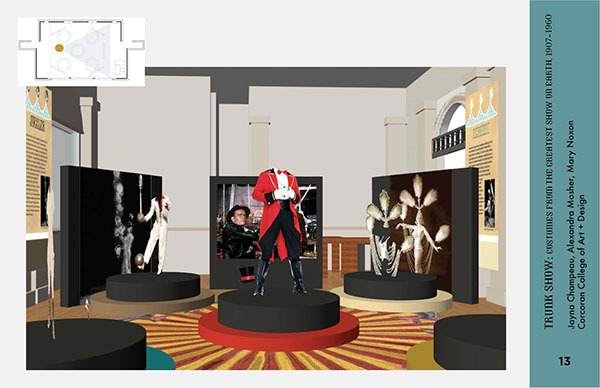 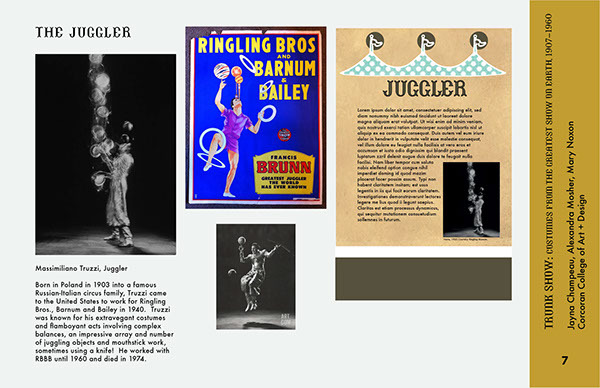 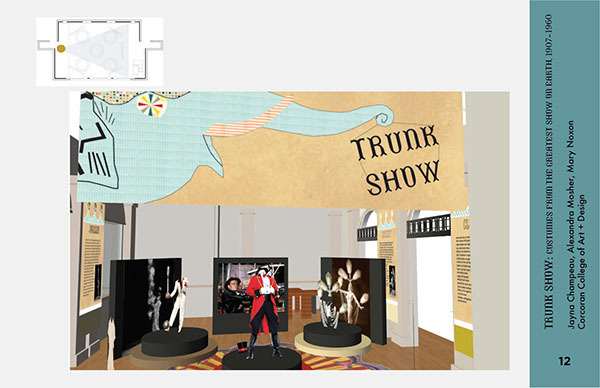 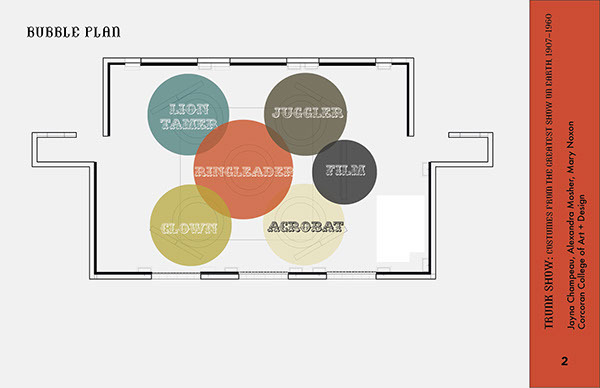 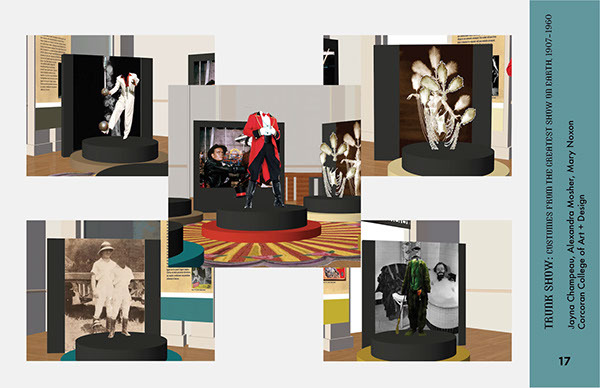 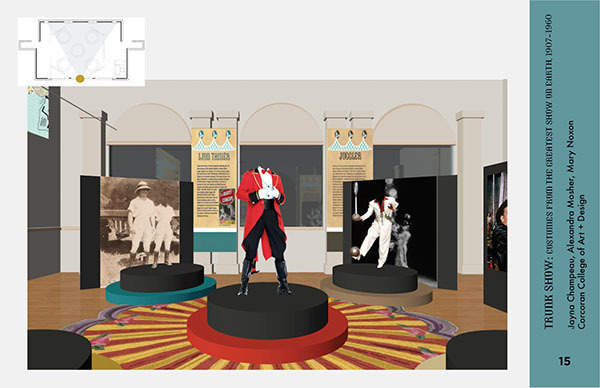 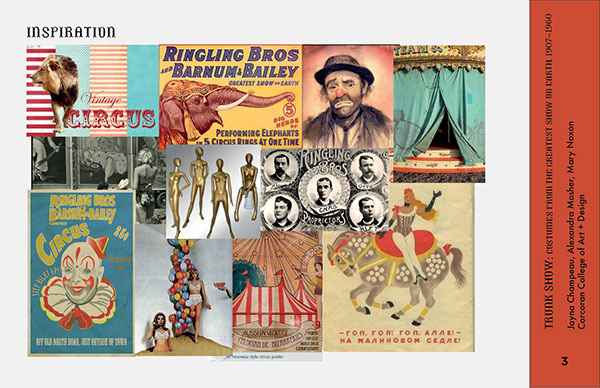 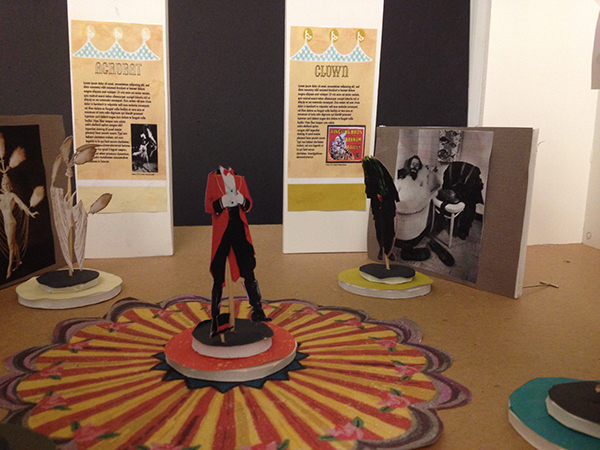 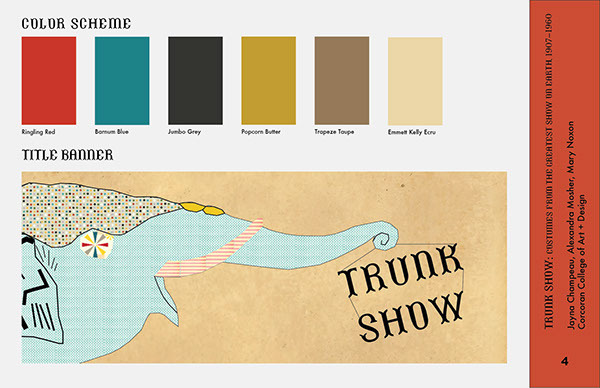 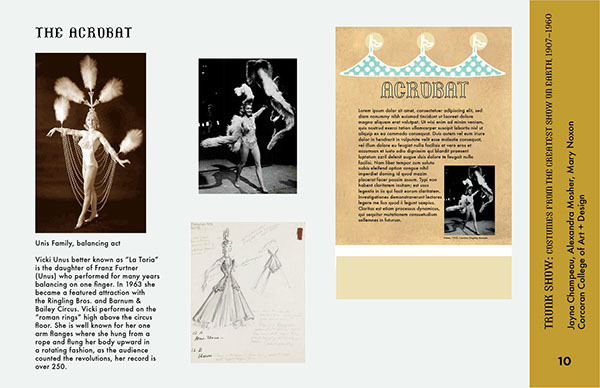 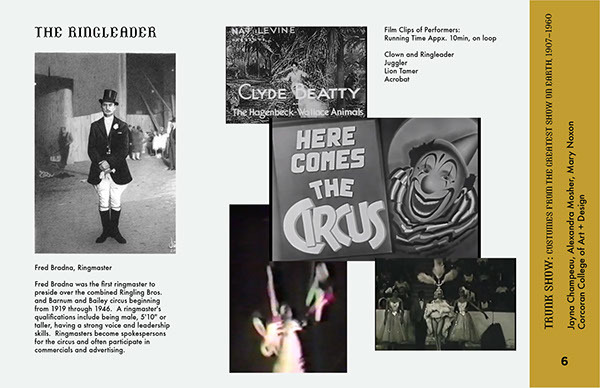 The proposal for the circus themed show focuses on the costumes of key performers in the ringed circus and includes proposals for objects, layout, graphics, and constructed objects specific to the exhibit. 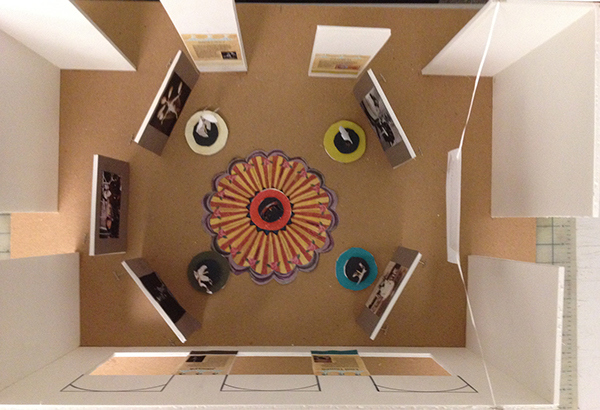 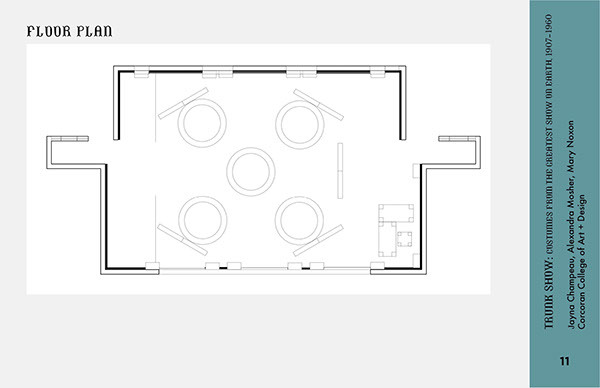 This portfolio shows the concept package and model created for the proposal. 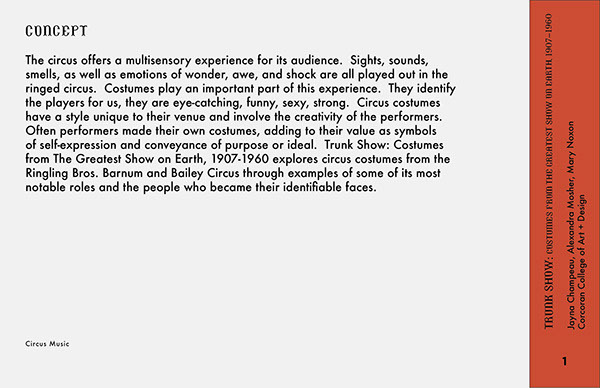 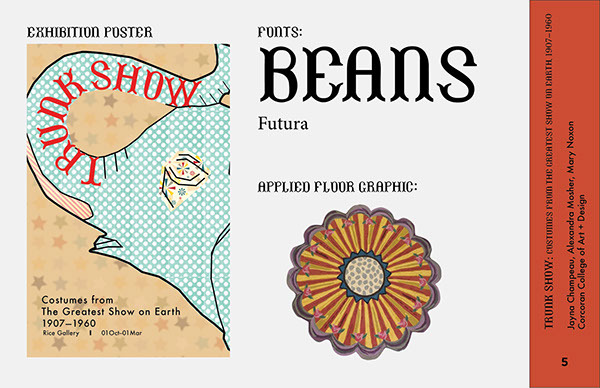 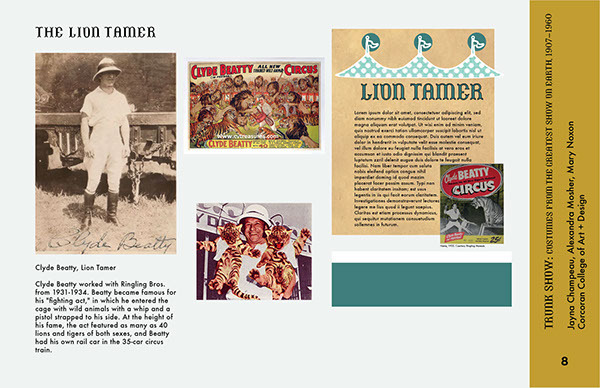 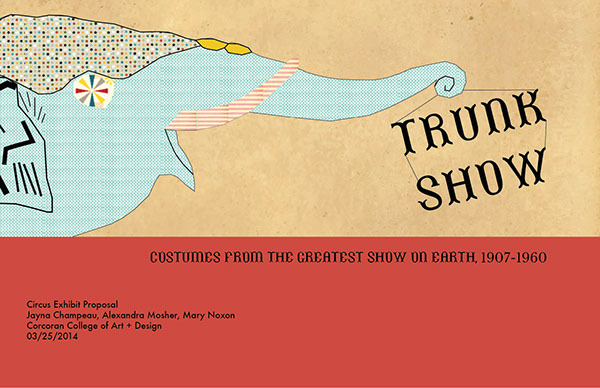 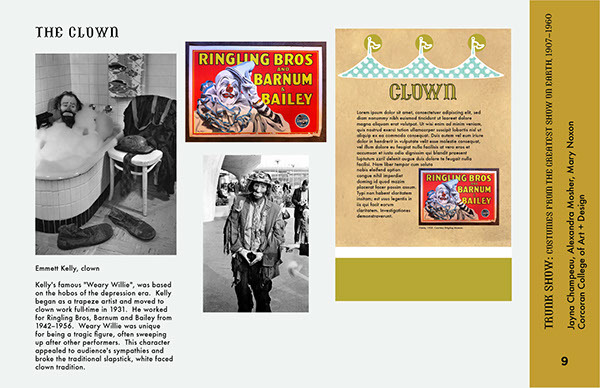 An exhibition concept package for a circus-themed show, focusing on the costumes of the ringed circus.